Forum Member Zenta has just posted a teaser video of his improved MorpHex MK-II. 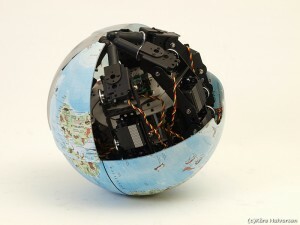 The MorpHex is a robot that is capable of transforming from a hexapod cralwer into a mechanically rolling ball. The Upper half of the robot has been upgraded from a 1 dof linkage to a more flexible leg . We’re excited to see more demos of the MorpHex in action!